Every DartFrog selected book will automatically be placed face front on specially branded "DartFrog Selected" shelf space in 20 independent bookstores. If you would like for your book to be placed into more than 20 stores, you can do so through the author onboard form we send you once your book has passed our evaluation. 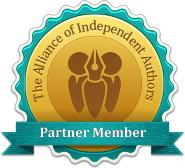 IS THERE AN AUTHOR AGREEMENT? 1 copy of your book will be shipped to 20 participating bookstores. Stores will display your book in a specially branded "DartFrog Selected" section of their store for three months. Max of 15 titles per store. When/if your book is sold, store will order additional copies through Ingram. Book must adhere to trade standard wholesale and return settings. Bookstore keeps 100% income from first copy sold. Additional copies ordered would adhere to the royalty guidelines set forth in your agreement with Ingram.